Finally, a fish measurement board specialized for anglers in tight spaces. With limited space in the cockpit of a kayak, on the deck of a paddleboard, or in a gear bag when wade or bank fishing, The Fish Stik gives you back your fishing space by folding down and storing easily. 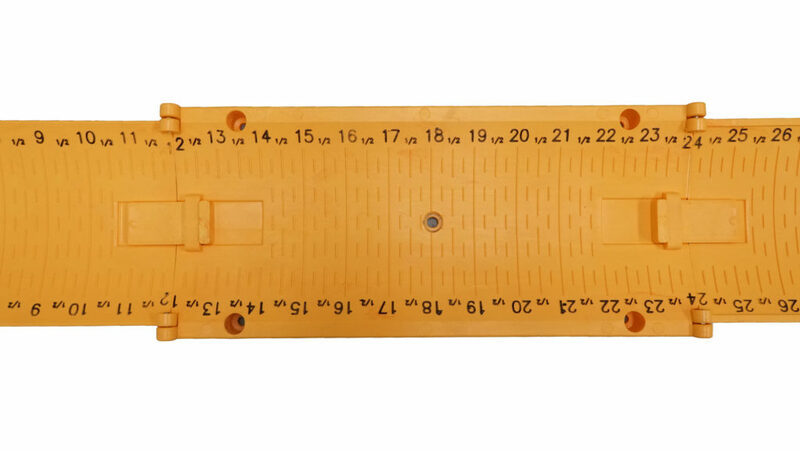 The patented design addresses the biggest problems with old-school measuring boards, poles, and tapes: it folds down to save space and it floats. Stop compromising your space and your measurements. Get back to fishing; get back to measuring. At 36-inches long and folding to only 12-inches when stowed, The Fish Stik covers the full spectrum of necessity – from measuring trophy fish to the ability to stow down under a raised seat, between tackle boxes, or in a storage crate. 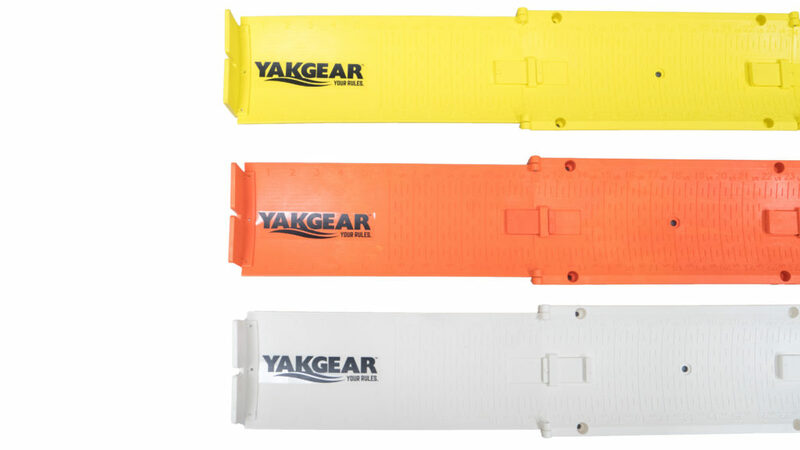 The Fish Stik is available in three colors: White, Yellow, and Sunset Orange. · 36-inches when expanded. 12-inches when stowed. · The Fish Stik floats. 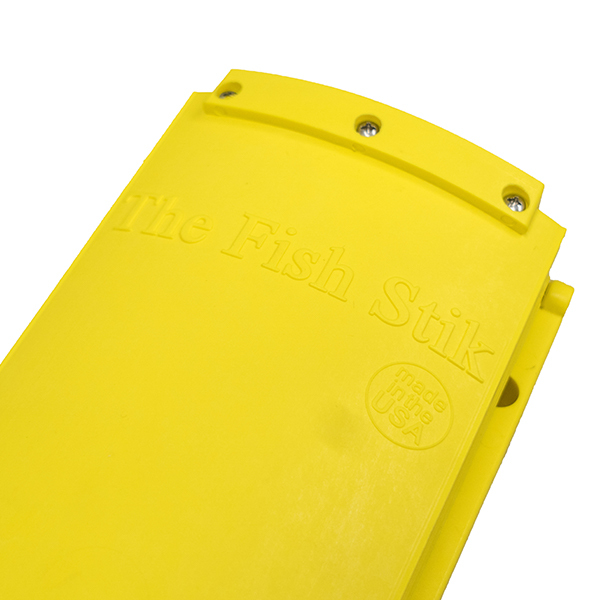 · Easily store The Fish Grips Jr. inside your folded Fish Stik. · Comes with a marker for self-applied darkened measurement indicators for CPR photos and tournament submissions. · Mount your Fish Stik with the RAILBLAZA Pivot Kit to allow to rotate. · Available in 3 colors: White, Yellow, and Sunset Orange. · Proudly manufactured by the same company that brings you The Fish Grip.